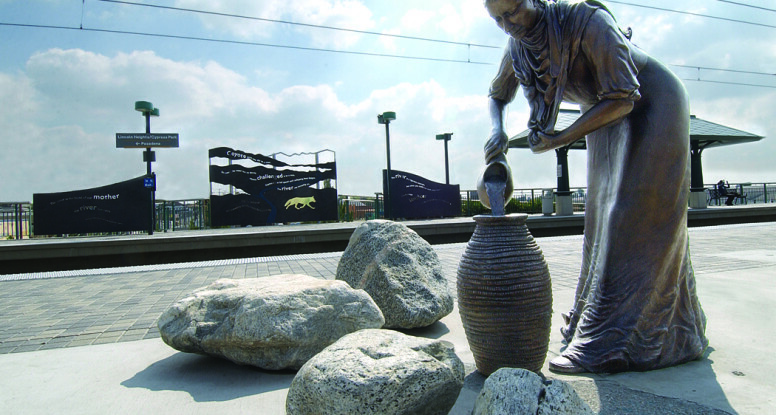 Join us as we artistically bridge East Los and Pasadena on the Metro Gold Line. Meet the artists of the Metro stations who will describe their artwork in the community. We will have refreshments as we travel along plus lunch will be provided by Home Girl Café. We will meet at the Pasadena Senior Center, 85 East Holly Street, Pasadena, CA 91103 for registration between 9:30 to 9:55 am. We will walk to the Memorial Station and begin the tour there. Refreshments will be served at the Senior Center. Parking is available at the Marriott for about $6 all day on Raymond, across from Memorial Park, next to the Armory Center for the Arts and Heritage Wine. 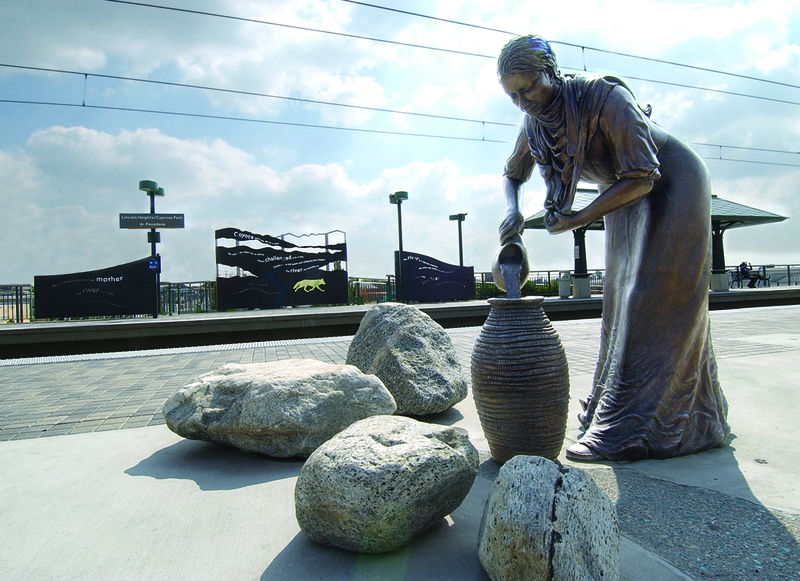 So if you’ve ever wanted to know more about the art on the Gold Line, this tour is for you! Maybe I’ll see you there.